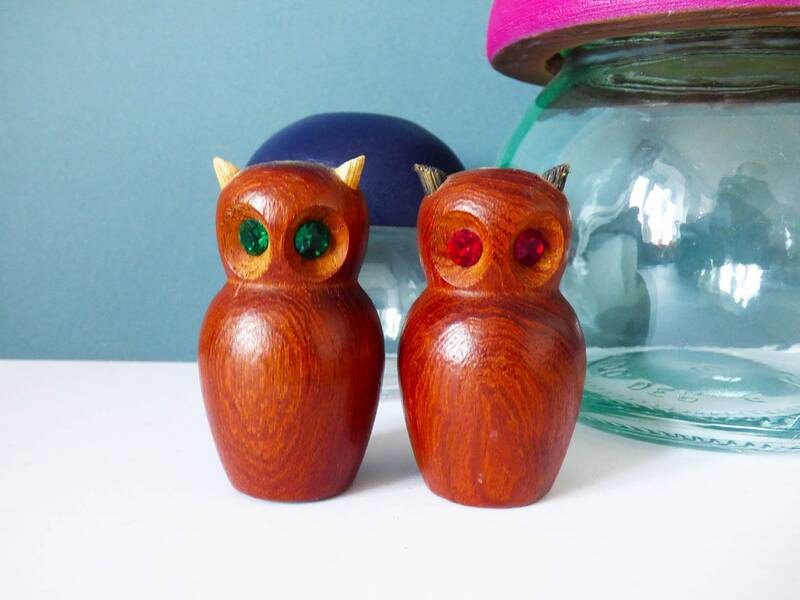 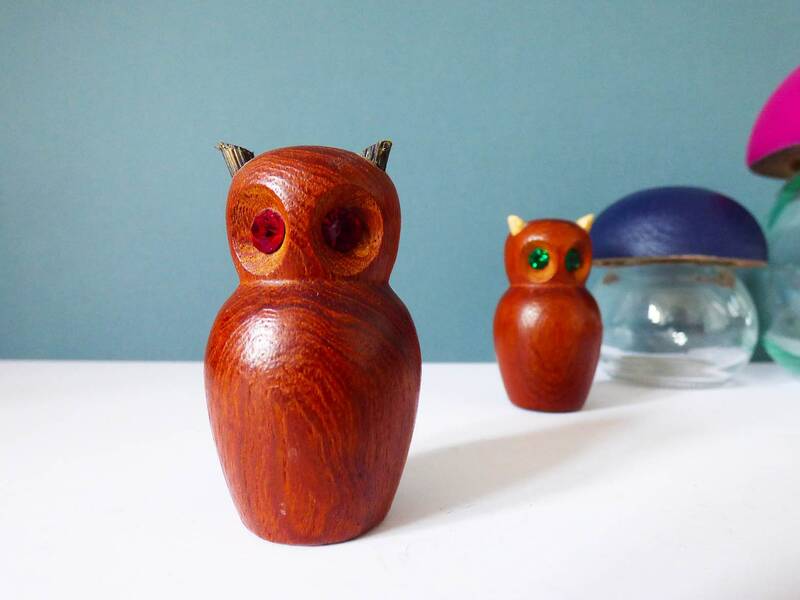 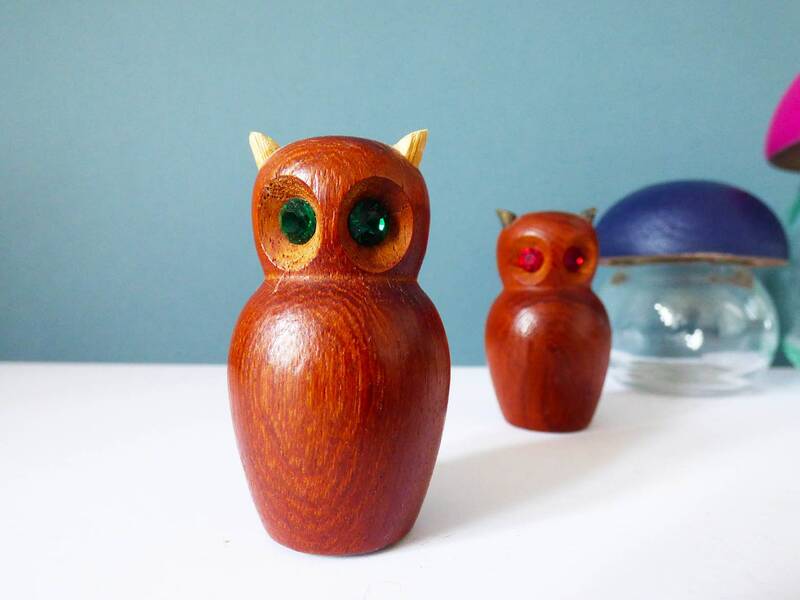 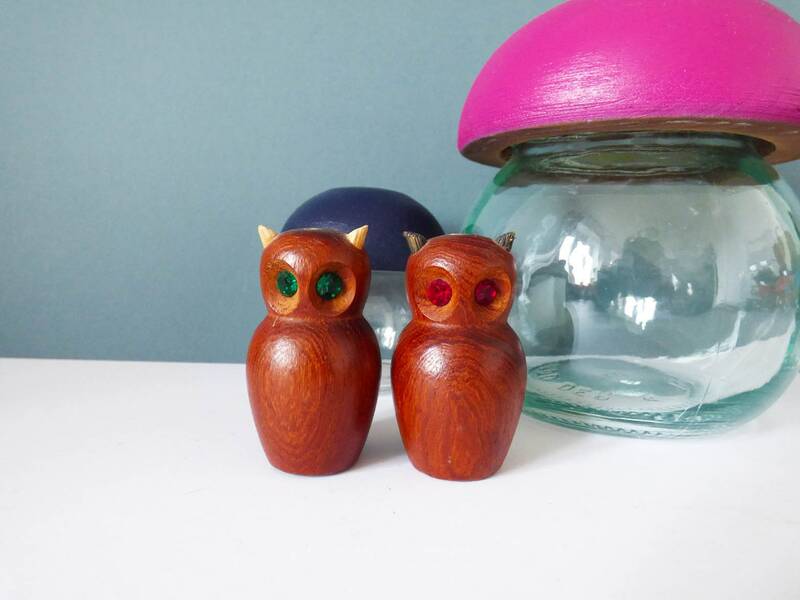 Super gorgeous little teak salt and pepper pots in the form of owls, the salt pot owl has red glass crystal eyes and the pepper pot emerald green eyes. 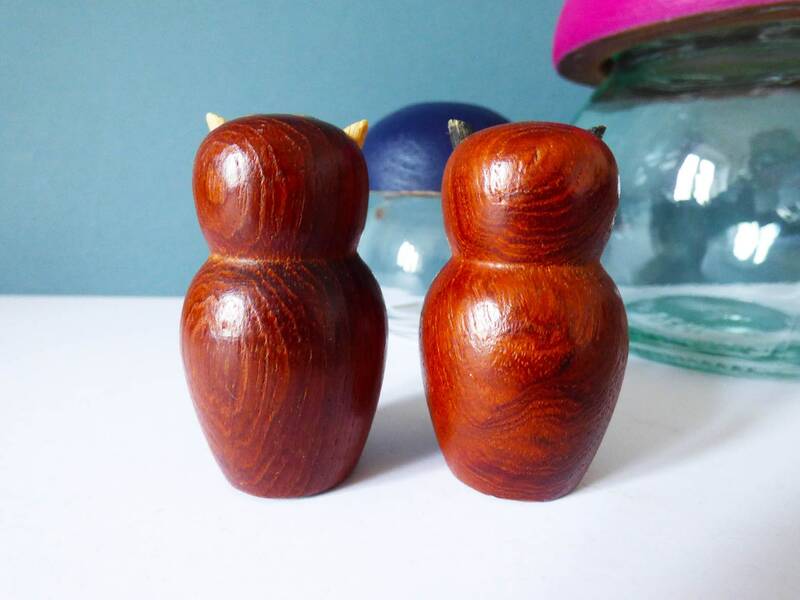 the bases have plastic bungs to refill. 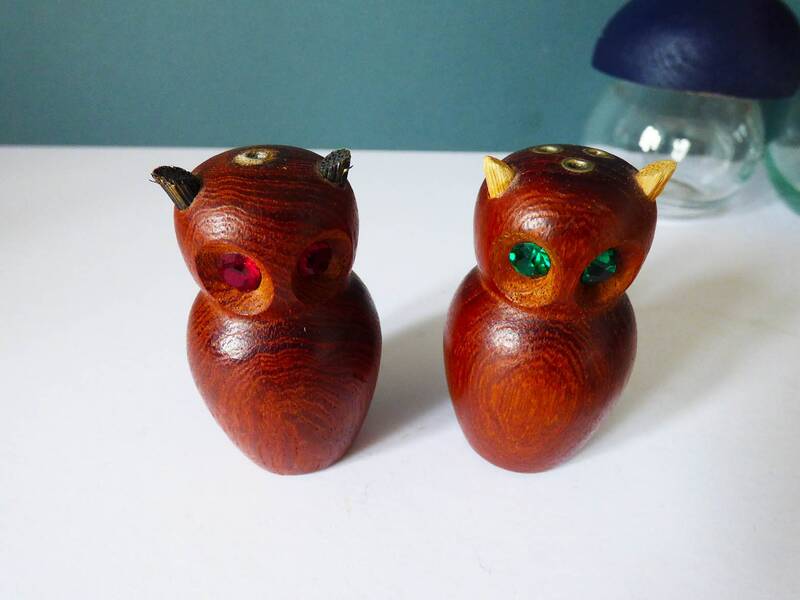 Each little owl measures 6 cm tall, and they are both in great condition, the metal hole fitting is missing from the salt pot. 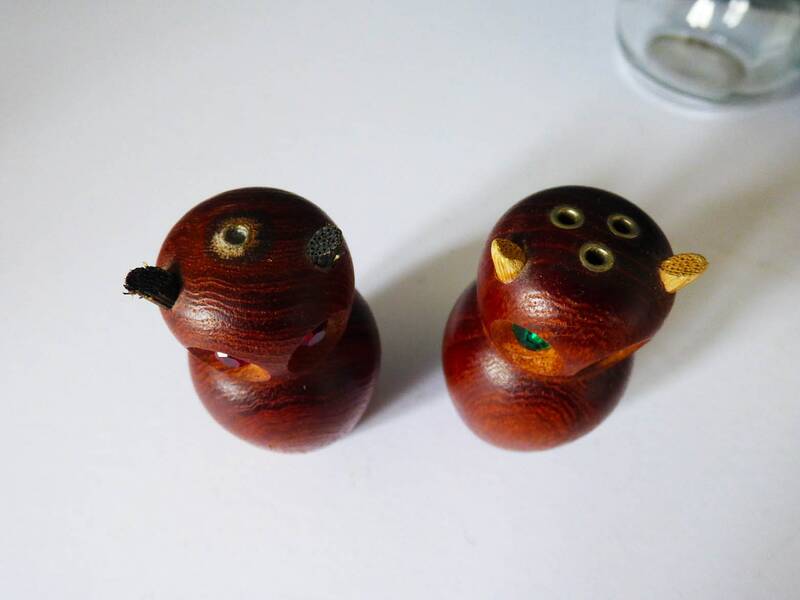 (doesn't effect use at all, see photos). 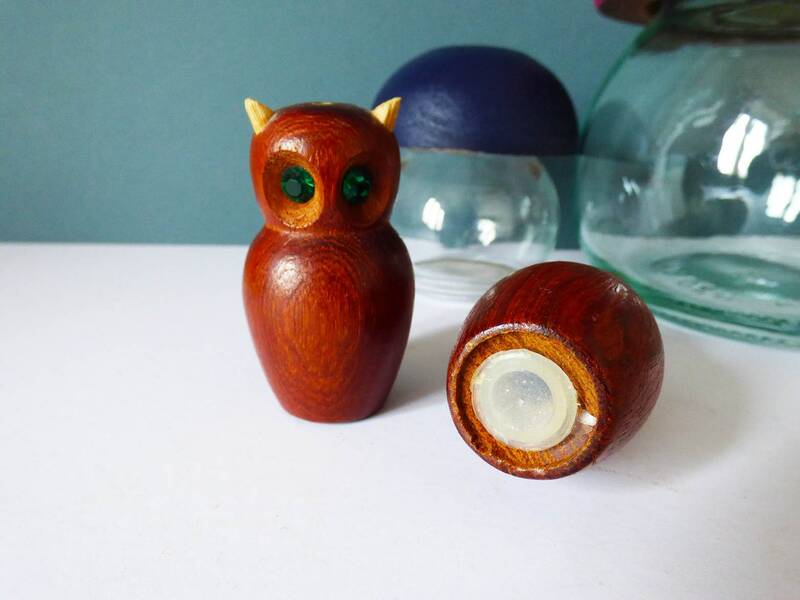 A wonderful find, totally unique.